In Park Plaza at the corner of Williams and Gallatin across from Big Spring Park. 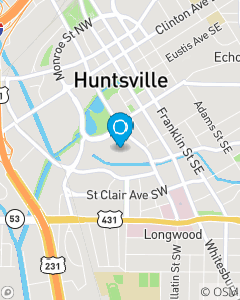 Our mission is to have a premier office environment providing Auto Insurance, Home Insurance, Renter's Insurance, Life Insurance, and Health Insurance in Huntsville, Alabama. Our agency's number one goal is to put the customer first and provide them with the knowledge and products to have a secure future for their family or business. Our vision is to be a leader in our community and the first choice when acquiring insurance and financial services products.